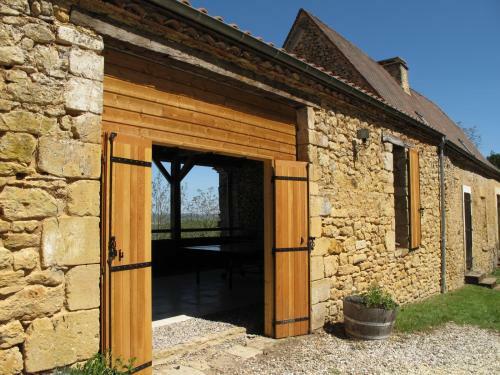 The Gite accommodates 4 people and the Barn accommodates a maximum of 6 people. 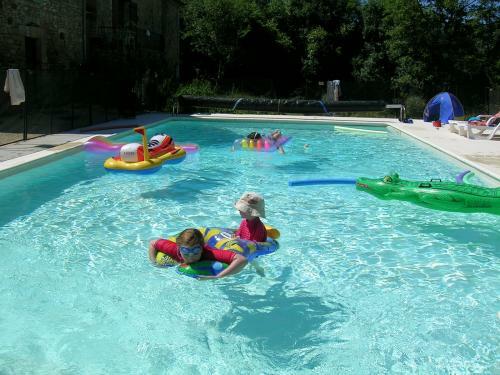 The gite can be rented on its own with complete exclusivity or together with the barn; an ideal opportunity for larger groups or two families. During the peak season, priority is given to bookings for both properties. 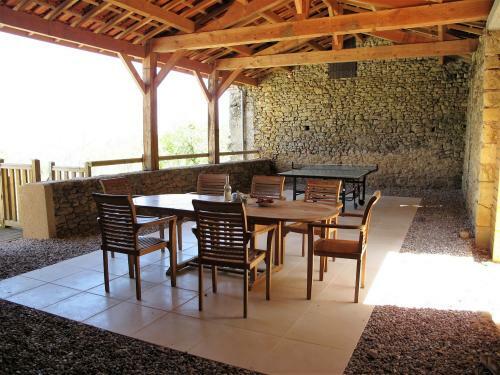 The gite enjoys central heating and is available during the whole year. The Barn does not have central heating at the moment and is therefore only available during the mid and the peak season. For 4 persons plus babies/toddlers. 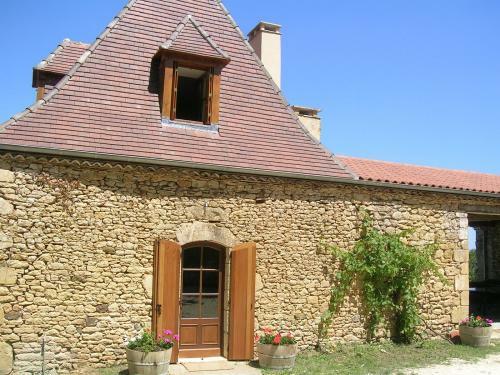 The gite is a spacious house on three levels, situated between the barn and the covered terrace. * A relaxing lounge - 2 and 3 seater leather sofas plus 2 chairs. Open fireplace. * A spacious kitchen with all modern amenities - electric cooker and hob, microwave, large fridge freezer, dishwasher and washing machine. Large kitchen table and open fireplace. The kitchen leads out to covered terrace. * and a bedroom with 2 single beds. * A bathroom with bath and shower. * A shower room and toilet, small kitchen area with sink and fridge - leading out to the pool. Free broadband wireless connection - satellite TV, DVD and CD player. Central heating. 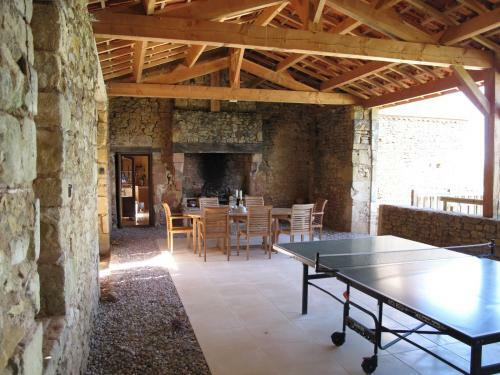 A beautiful, big, open plan barn in true Perigordian style. Lovingly restored, retaining its original character and grandeur. The double barn doors open into the vast ground floor. * The kitchen area in the centre of the room with a grand dining table, suitably placed to offer views up to the roof beams. * A lounge area with comfortable seating and a wood burning stove. Patio doors at the rear, open onto a pretty breakfast terrace. A beautiful, oak staircase follows up to the sleeping area. 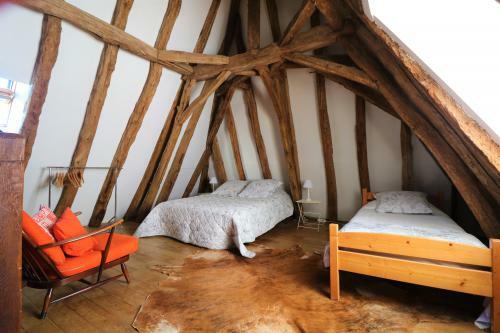 * There are two bedrooms with a double bed and a large mezzanine area. For flexible sleeping options, this area offers an additional double bed and two single beds. The swimming pool: This is the 12 x 6 metre saltwater pool, with roman steps leading into the shallow end. Floodlit at night for those evening drinks under the stars. A security fence, circles the entire pool area. The covered terrace: It offers an amazing views and alfresco dining . Direct access from the kitchen and large barbecue set under the original chimney stack. Table tennis available. 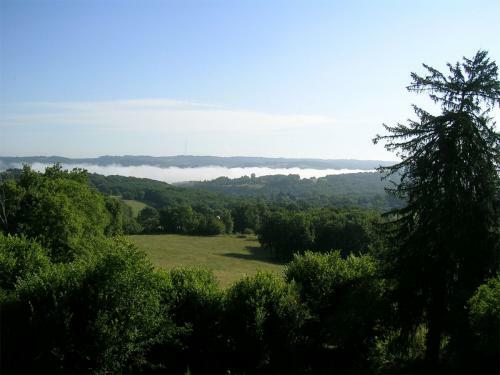 Scarpat is situated in 2.5 acres of meadows and mature orchards. 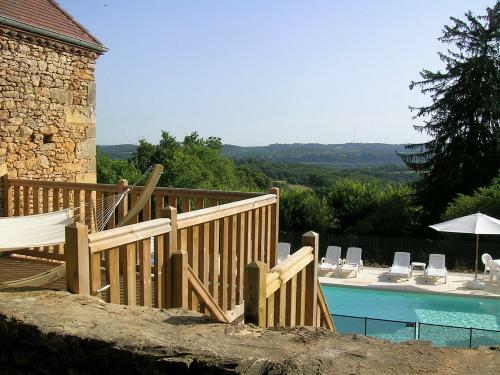 This peaceful setting boasts spectacular views over the surrounding countryside and Dordogne valley. Only 1km away is Le Buisson. A quiet village with a restaurant and bar, which springs to life on regular market days. 3 km away from Scarpat is the village of Cadouin, with its stunning 12th century cloistered abbey and pretty market square. During the summer season, Le Buisson and Cadouin host a weekly night market. This is a great opportunity to meet the locals, practice your French and for everyone to enjoy an evening of food, wine, music and dancing. Sightseeing opportunities are endless with many surrounding medieval towns and villages, chateaux and prehistoric caves to explore. 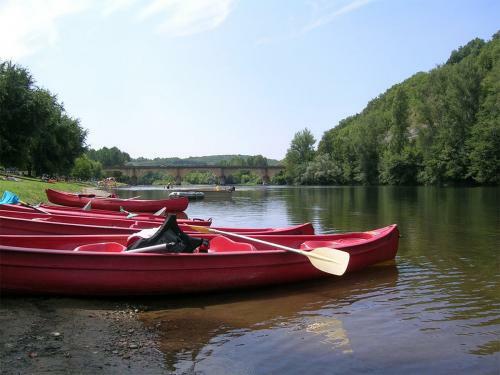 The picturesque Dordogne river, which passes close by to Le Buisson, allows for lazy afternoons sunbathing, swimming, fishing and canoeing. 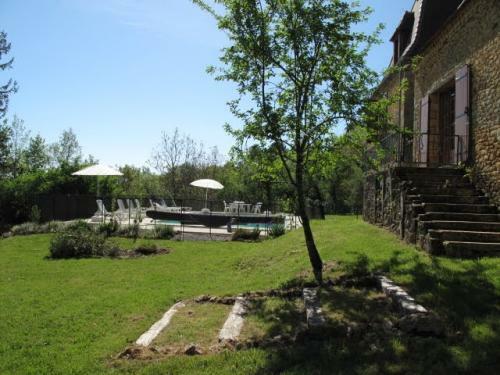 Other activities within easy reach are horse-riding, tennis, golf (Siorac en Périgord (18 and 9 holes) - 7 kms) and cycle hire. The tourist tax is not included in the price. It is transfered in full to the village.